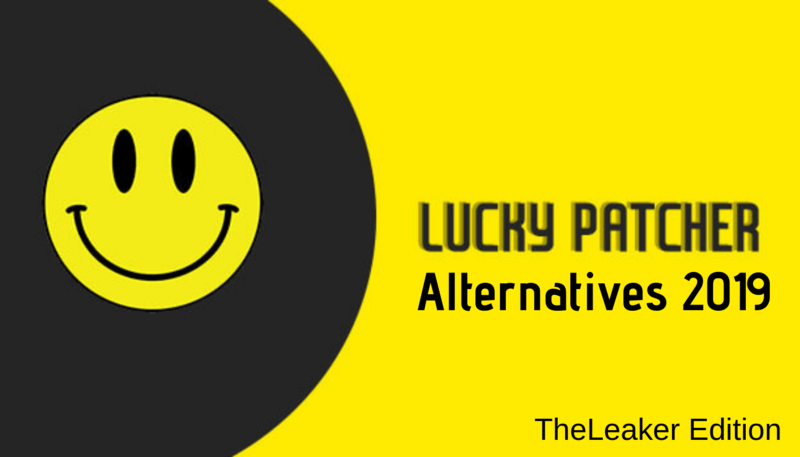 Lucky Patcher a word you would have heard many times by app developers and game hackers. You would have commonly heard by some person saying that he has unlimited coins in subway surfers or any other games, this could be either done by directly downloading some Modded APK from the internet which increases the risk of threats or by using lucky patcher. So you would have probably know what lucky patcher is by now. So Let’s dive deep into it. What does Lucky Patcher do? Lucky Patcher is a free app developed and continuously maintained by a team of members. It offers its users a patch for in-app purchases and more. Lucky patcher works by changing the app data (Data of the APK). Mostly the AndroidManifest.XML file. It can also be done manually through an Android SDK by Using Android Studio. If you take the example of removing the adds by patching, It does it by removing the containers in which ads are displayed. It uses the concept of Reverse Engineering. Lucky Patcher checks internally for the equivalent hexadecimal values for the matching Java code in the .dex files (inside the APK File) which is written for the In-App purchases. Clean UI: Lucky Patcher searches all the applications upon starting the app and shows the applications that can be patched with various colors. Upon launching the application, you will see all the applications installed on your smartphone. After which, you can select the application you want to patch. The application also shows the ones which has ads and which has a custom patch. Remove License Verification: It can also remove the purchase verification of the applications. This could help us use paid applications for free. Removing the license verification allows the users a lot of features and more. Block the Ads: It can be used to block or remove the ads from a paid either paid or free but generally it is used on free apps. It removes the irritation that the free apps give us by showing ads after every touch. Gems or Coins for free: Lucky Patcher can modify the source code of many popular games for Android after which it may unlock many blocked features of the games. Many game developers have become very greedy today. They force the users to buy coins or gems by paying real money which is a kind of a waste. With Lucky Patcher, you can modify lots of games and get unlimited gems or coins for free. Remove unwanted permissions: Lucky Patcher can also remove unwanted permissions from unwanted apps easily. Some of the android applications ask for many suspicious permissions which is a threat to privacy. These types of permits can be harmful to users. Using Lucky Patcher, you can remove any unwanted permissions easily. Now lets come back to the topic and see are there any alternatives that can beat lucky patcher? Xmodgames is similar to lucky patcher but not up to the mark; It can be used to hack various games on the play store. It also provides different mods to different games such as we play GTA series with a different mod, some may increase the capacity (life, time, etc.) of the player while some may enhance the graphics of the gameplay or some may act as an accelerator. It’s the biggest flaw is that it needs root access else; it is a good one. It is one of the best Lucky Patcher Alternatives. I would rate it 8/10. By Using Freedom App, you will be able to get coins, gems and other resources for free. It has features similar to lucky patcher but isn’t that great. It can block ads, bypass in-app purchases, get free gold, etc. in game and more. While the biggest disadvantage of this app is it requires root access and cannot function without it. It can take you to the maximum level of the game and let you enjoy the maximum. I would rate it at 6/10. The SB Game Hacker is an android game modifying tool that is very easy to install and thus use. The SB Game Hacker android app works by helping the users get more coins and lives to maximize the gaming experience. Furthermore, the app also helps to remove those annoying ads and bypass license verifications so that the users can fully enjoy playing a given game. This app works only on rooted devices, and therefore it is important that you have a rooted device first before installing the APK. I would rate it at 6/10. Game Killer is one of the most known android game hacking apps that allows you to modify gems, coins, and other game features easily. The app uses an old memory modifying technique and thus is compatible with a wide range of Android versions. The app is overall good for hacking all types of games but modifying paid games is often discouraged. The Game Killer needs root access on your device for it to function effectively. I would rate this at 6/10. It is one of the best and amazing alternatives to the lucky patcher. It also some similar functions to lucky patcher. It can hack in-App purchases as the same as the lucky patcher. It has a very clean user interface with just only one button. Users can use this app to hack in-App purchases, and the best thing is it doesn’t require root access at all. It may be an alternative, but it isn’t that great as it cannot block ads or add custom patches. I would rate this at 5/10. So here comes the final part, the real question is there any app that can beat Lucky Patcher? My straight answer is no. First of all Lucky patcher doesn’t need root access which most of the alternatives require. Next, most of the apps just hack or mod the games; they do not remove ads from free apps. Third, Lucky Patcher gets updates more frequent, and most of the people use it. The patches are updated every day so that the users do not get any lags in the game or UI. So I would like to conclude by saying that if you need any type of mod, I would prefer Lucky Patcher. Also, read our in-depth article on RedBox TV which just lets you watch online TV and movies for free.